Art Every Day was never meant to be a series. It was intended to be a single artwork on a single day submitted on Facebook after a flurry of contentious political arguing by various friends on social media. It was meant to be something that was not a meme. Something whimsical and beautiful. 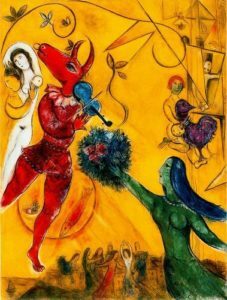 The first day’s choice was The Dancer by Marc Chagall. But there was something good the next day too that I wanted to share. And something the day after that. Somewhere down the line Art Every Day acquired it’s name and the Facebook series officially began. My guess is it had just reached critical mass. Whether intended as a series or not Art Every Day is now entering its second year. Each day I spend a bit of time looking at art and photography blogs on Tumblr. I don’t look at news blogs on that forum, so my trips there are an escape from the real world. It has become a ritual that I deeply enjoy. Though intended to search for material for the series, in many ways it has renewed my faith in humanity, during a time when the events of the news make that faith pretty shaky. But in poring through images I have reassuringly observed that as a species we have been making art for as long as we have been around. Every culture makes great art. It comes from golden and not so golden eras. It is pervasive over time and space. It exists in our own time and very recent years. It comes from well-known masters and anonymous artists, as well as those whose place in history remains in flux. 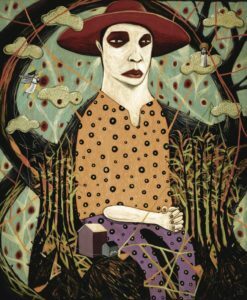 Art changes over time to reflect the cultures that made it, technological advances, societal changes, the times and in general, and changing tastes and mores. It’s a lot deeper than that, but there’s a starting point. 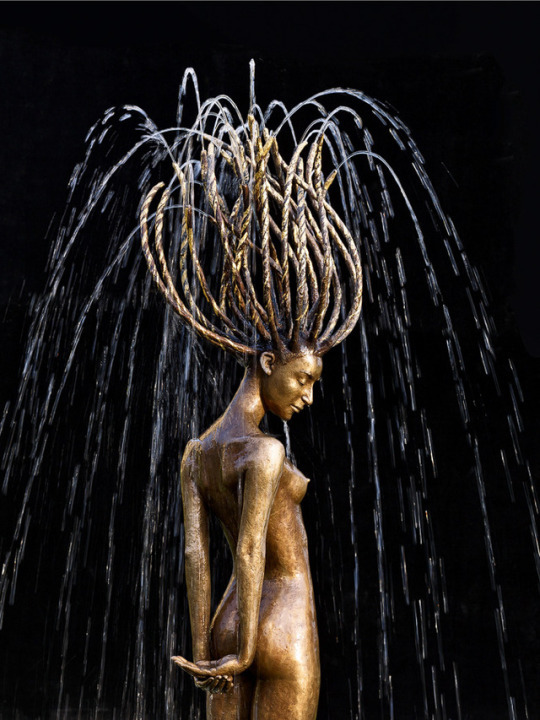 The series took shape out of a desire to share diverse and often awesome work. To show our common humanity and how good we can be. To show that art has the power to provoke discussion that’s sometimes hard to start. The series was intended to be shared widely to, at the very least, get people looking at art, and maybe even get them talking about it. Limited action on that front so far but it may. This thing appears to have some legs. Art Every Day has taken me on a personal journey as well. One I needed to take for many reasons. 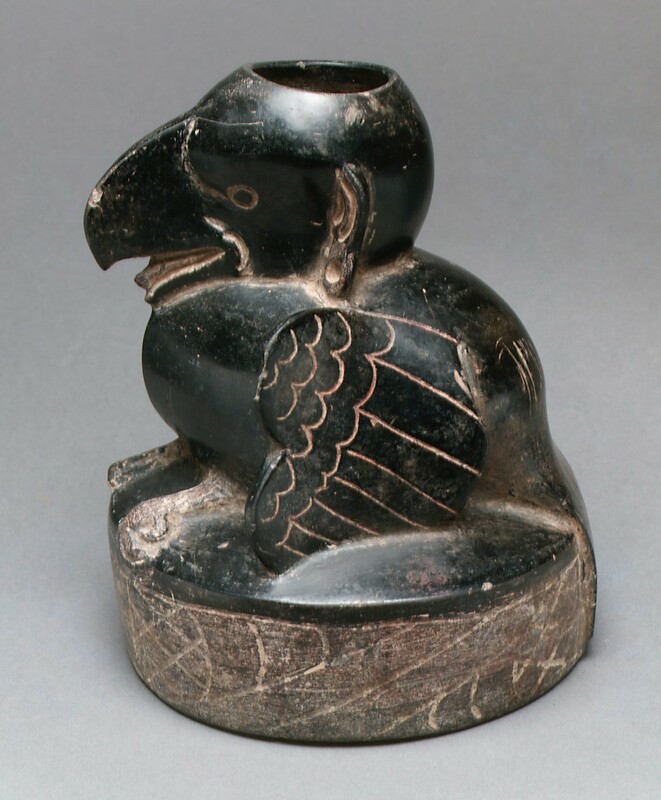 Bird Vessel – Olmec , Mexico, Mesoamerica 12th-9th century B.C. I loved the art history classes I took at the University of Arizona in the mid-1970s. It was fascinating to see all those famous and lesser-known works laid out chronologically and to begin to recognize trends, forms, evolution and the general interplay of the times and art. But frankly it was hard to fully absorb while taking a full college course load at the same time. On Tumblr all of this comes in a bottomless flood through random access scrolls of images, but my memories of those classes kick in and I’m sent hunting for the missing pieces. Like anything worth delving into every day it’s so much deeper and broader than one can imagine. Art history classes were focused almost entirely on art of western civilization. Tumblr, by contrast, is fabulously indiscriminate in its presentation of art. Works from across the planet and throughout time show up, along with collections of the best-known masters of every era of western art. 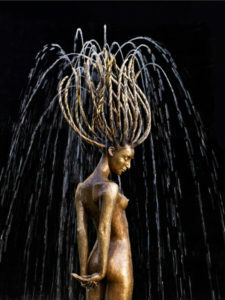 Some of the art is utilitarian, some fanciful, some abstract or figurative. Along the line a great number of artistic trends have found representation in the series. Some of the blogs I explore for material are hosted by experts, others by enthusiasts, and most have a clear theme. And Tumblr does a good job of suggesting other blogs you might want to explore. It’s a lot to mine every day, but there’s always too much great stuff. So I keep a big folder of candidates on my hard drive and poke through both the saved gems and recent harvests to choose each day. As a photographer and filmmaker working on The Mariachi Miracle, this exercise has proven fundamentally important. When filming now I see things in a different way. I compose my shots differently and look for elements and vantage points I might not have considered before. I know what I want to see, and through my craft I’m starting to get closer to that imagined view. I believe it ultimately will propel the story telling, though more likely in future productions than this one. 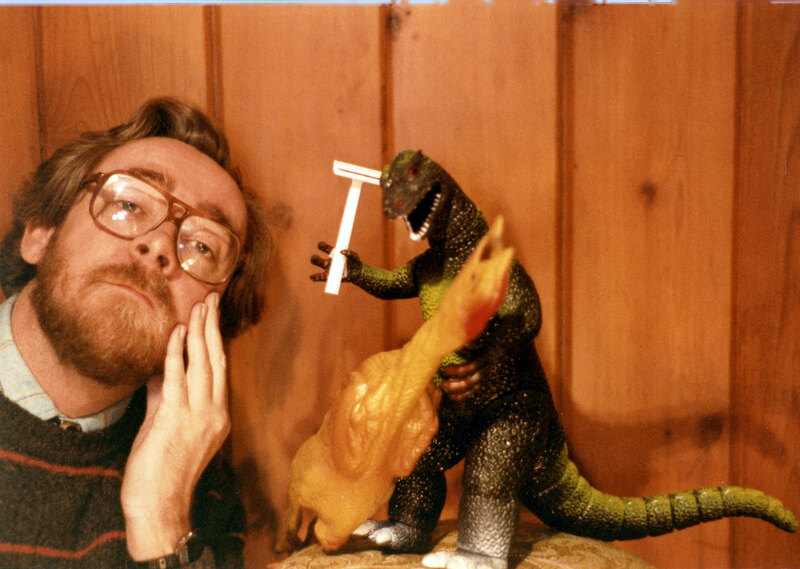 But without question, it will change the look of the finished film. I am a different person for taking this journey with my friends on Facebook. It has opened my eyes to the power and equality of art. My criteria of selection remains the same. I look for compelling images while scrolling through the digital stacks. 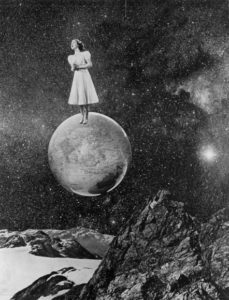 But the past year has shown me how often those compelling images were created by women and artists from every reach of time and the globe. I love watching what people do and don’t like. Seeing who among my friends will “like” certain works but not others, and who will love the more oblique selections. Some pieces get a handful of “likes,” while others get hundreds. It’s interesting to try to figure out what elements make a given piece broadly popular and another not so much. Weirdly it helps me get to know all of you in a different way from our normal interaction. And hopefully it’s given us all a calmer place to gather for a few seconds each day and have a look at something someone created especially for us to see. Onward to year two. We’re just getting started. What’s coming up? We’ll find out. Got my assignment from the organizers of the Lotería de Tucson 2018 card project. 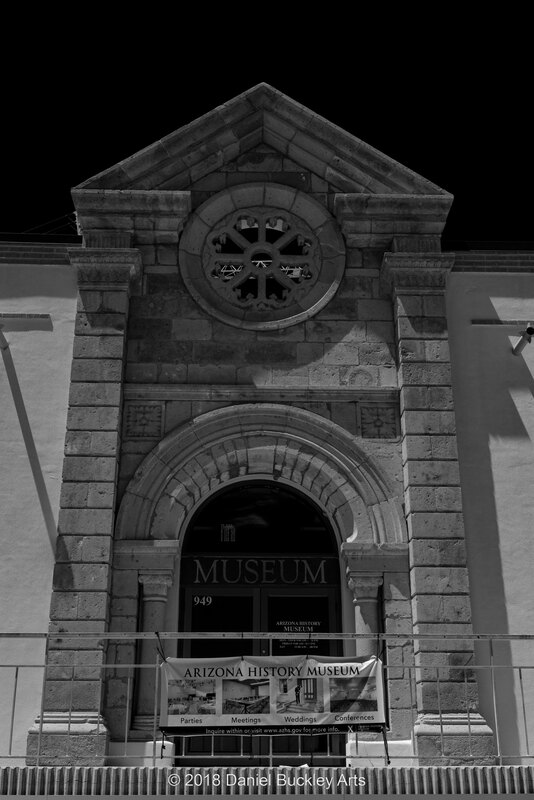 My subject is the Arizona Historical Society. I was unable to be there when they handed out the subjects to the various artists involved but the entropy of the universe was on my side. I’ve done a lot of work with the historical society over the past decade, including a project in progress examining history through the lens of resilience. “Arte de la Vida and Galería Senita are proud to present the “Lotería de Tucson 2018”. Loteria de Tucson is loosely based on the iconic and popular Mexican Loteria card game with 54 cards with a different richly illustrated image and number on each card. 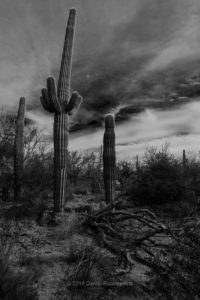 “Lotería de Tucson 2018” is a juried competition to create a deck of Lotería de Tucson cards that will represent the unique nature of The Old Pueblo as it was long ago and as it is today. 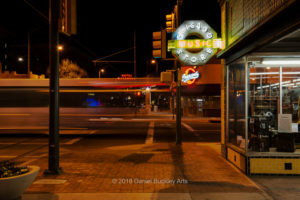 Three female community leaders, whose identities will be revealed after the artists have been selected, and the Owners of Arte de La Vida, James Goodreau and Kevin Pawlak, have chosen titles for 54 Lotería de Tucson cards that represent places, plants, people, food and the history of Tucson. They have only chosen the name/title of the image, not the image itself. Each title was also assigned a number as every image in a traditional deck has a number. A maximum of 54 artists will be chosen by Gallery owners, James and Kevin. The artists will create a two-dimensional art piece to be displayed and available for purchase from October 6th – November 24, 2018 at Galería Senita inside Arte de la Vida, 37 North Tucson Boulevard, Tucson, Arizona. 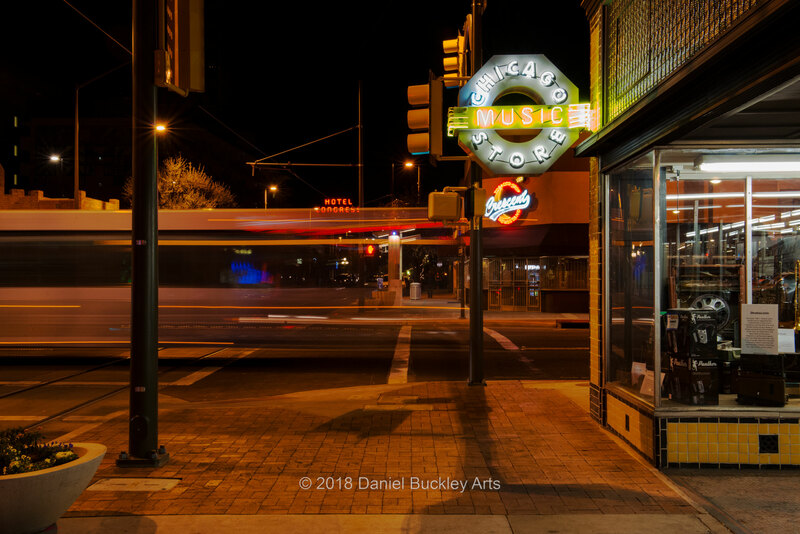 The 54 art pieces will also be photographed and printed and combined into a Lotería de Tucson card deck that will be sold during the exhibition and after. All proceeds from the sale of the Loteria decks will go to the Community Food Bank of Southern Arizona. Arte de la Vida/Galería Senita will NOT profit from the sale of the decks. Artists will be given an opportunity to buy a number of the Lotería de Tucson decks at wholesale costs. Interest will dictate the amount of decks printed. Today on the Fourth of July I headed over to the AHS headquarters to shoot a few sketches. These are really a starting point of what I might do later. The finished images will also find their way into my Esta Es Mi Ciudad photographic series. Something essential for any artist is making time to look back at your work. The end of each year is a good time to examine what you’ve done. It helps you see what you’ve accomplished and where you need to focus in the year ahead to grow as an artist. But every few years or so a deep look is called for. One that goes back at least five years and maybe more. 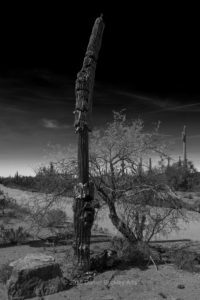 I recently had occasion to look for black and white images to see the chronology and evolution of my approach to grayscale image processing. 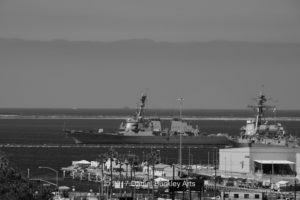 I turned to my Lightroom category for black and white images, but noticed that some images I expected to find just weren’t there. That made me go back through my entire output to restore the missing images to that section of the catalog. Adobe Lightroom has made looking back an easy thing. 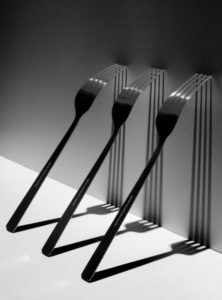 As you input your photography collection, a catalog is being generated that can present your work in a variety of different ways. Beyond the categories the user creates, the Lightroom catalog’s chronological listing feature is a godsend. Through it you can scroll through tens of thousands of photos in the exact sequence they were shot and see the experiences and technical details that shaped your technique as they came into being, and as they matured with time. You see how the equipment you have purchased spikes the creative process, and how sometimes you have to return to a particular artistic problem to finally get it right. Or at least get closer. You see as well places you have returned to over and over, getting the sense of seasons and year-to-year fluctuations. In my mariachi work, I see young faces growing older, more experienced and confident as the young musicians and dancers progress down their own paths. Sometimes you even see moments in history you saw as no more than that turn into a clear evolutionary thread. Along the way, you also find the places your heart has taken you along paths of joy and sorrow, tragedy and elation. You see the human experience unfold as your camera saw it. Sometimes you even see something you didn’t know how to process at the time but now have the skill to bring that image to life. That’s one of the pay offs. Similarly ordered lists help me do short and long-term reviews of my film work, music composition, writing and other expressions of my work. If you’re a photographer and you’re having doubts because the work has grown economically difficult, or you just have doubts of what you’re doing, go back this way and look at your work. See it for what it is. See how you’ve grown, and see what your work means to others. Do that and you’ll pull your head out of despair and be pumped about getting out and shooting some more. Note to self: Never create a self-portrait the day after accompanying small children to the circus. The greatest creative years of my life are coming. 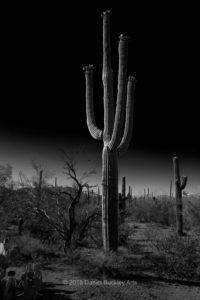 With the close of the Tucson Citizen daily newspaper in 2009 I, along with many of my cohorts in the newspaper business, was propelled into a new an unexpected universe of challenges and opportunities. New skills and new experiences were needed to negotiate an opening sea with no bottom. At the time the Citizen closed I was 56 years old. It is far from the world I had expected it would be when I hit retirement age. A nation divided. A Supreme Court seemingly bent on disrupting protections for women and minorities. A congress and president equally intent on making the poor suffer and the rich richer. Journalists termed “fake news” by blatant liars from the top. Arts organizations in disarray. The world a crazy quilt of chaos, racism and fear. But in the end we work with what we have, and try to make a difference where we can. And if we don’t keep working the world only gets worse. And so I push myself into the headwind, double down on my commitments and find partners, new and old, to keep moving forward together. Well, that and try to laugh in spite of it all. A panorama of Raggedtop Mountain. Over the years I have had many favorite places for landscape photography. Most are in Arizona and New Mexico, and many are related to my years as a geology student interested in the structural geology of the moon. I had a broad area west of the Tucson Mountains in the early 1970s that became my field mapping area for a course on geomorphology. It was a versatile area of the Sonoran desert where the iconic giant saguaro cacti were interspersed with features related to fluvial processes (water erosion), former volcanic activity and a hodgepodge of crazy stuff they called the Tucson Chaos. The roads were all dirt roads in those days and one traveled many miles in any direction before one saw a building of any sort. 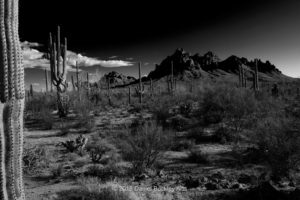 There were cotton fields and miles and miles of cactus, craggy rocks and radial streams fanning out from the taller peaks. Pre-cell-phones and GPS and without a four wheel drive, my excursions into the dusty unknown territory were cautious to say the least. At times I used an altimeter, calibrated at a USGS benchmark, to find my location on topographic maps. There was a place northwest of my field mapping area that had these craggy peaks that looked like that back of a stegosaurus. But it was off somewhere I never could find a road into. When the Trump administration added that area to its national park hit list I decided to go and photograph it. 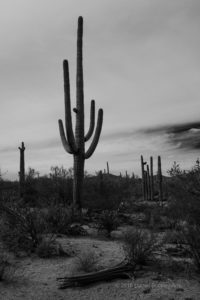 I learned it was part of the Ironwood Forest National Park and that it had some of the biggest, multi-armed saguaros anywhere in the area. 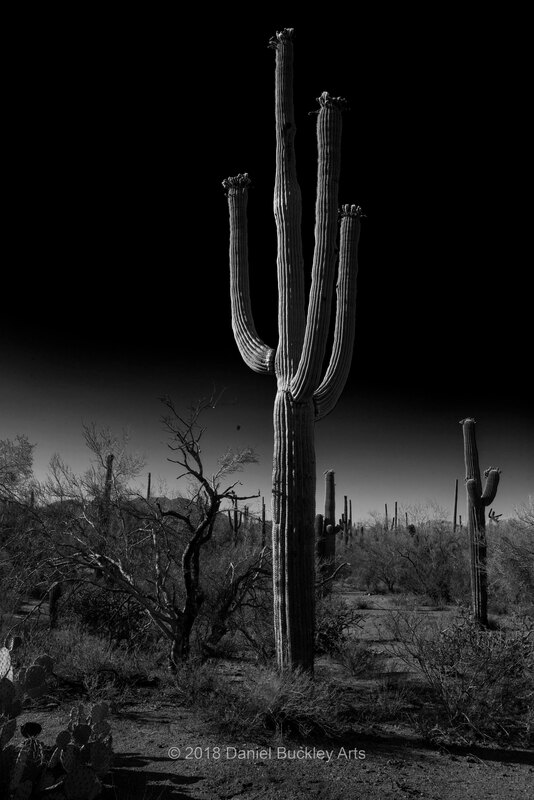 The more arms a saguaro has, the longer it’s been around. I swore that I’d find a way to get there in 2018. But my main work is in the production of the film and book project, The Mariachi Miracle. So my landscape photography often takes a back seat to that bigger project. Still, I needed an intellectual break from that work as much as I needed to recharge my own batteries by being in an exquisite desert wilderness. And so in early February I dug out the GPS, topographic maps and more and set sail for Ironwood. The first place GPS took me was to Avra Valley Road in Marana – one of my landmarks from my old field mapping geologist days when I’d look at soils and drainage and all kinds of subtle variables in the landscape. I would never have recognized the road. Where it had been an empty stretch of dirt road it was now quite populated with a lot of different types of industry, from farming and mining to concrete production and more. The farther west I traveled the bigger the saguaros got, and some of them had more arms than I’d ever seen on a cactus before. I’d jot down location markers from the road and trek in by for ways to see what was close by. 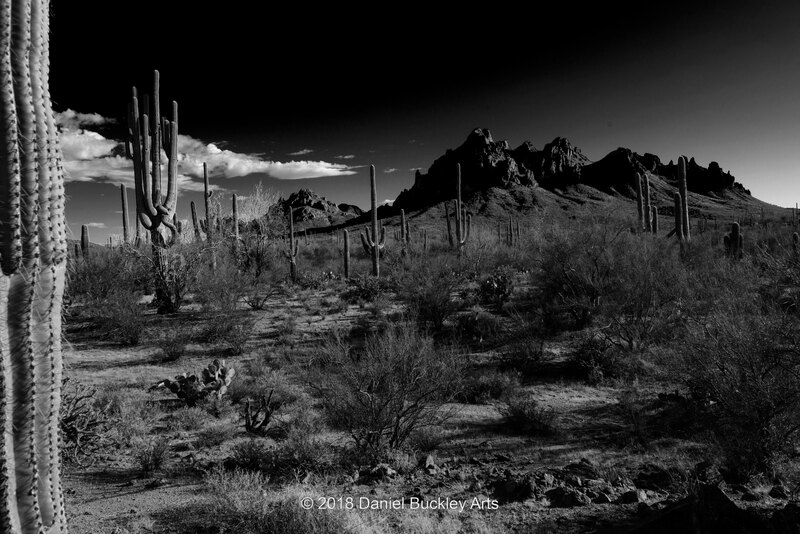 I saw signs of humanitarians groups leaving water for those attempting to cross the harsh moonscape that is that portion of the Sonoran Desert. And of course the massive tailings of the mines. But that jagged-crested ridge lay further to the north. Feeling confident that GPS might lead me out of anywhere I got into and armed with a couple of nights of close examination of maps, Google satellite images and the like, I made my first journey into that remote area at a very judicious pace. It was dirt roads most of the way, and again I was driving a sedan, so I didn’t want to find myself stranded in the middle of nowhere with no cell phone signal. But week after week I kept coming back, traveling a little further each time while getting closer and closer to what I now knew was called Raggedtop Mountain. 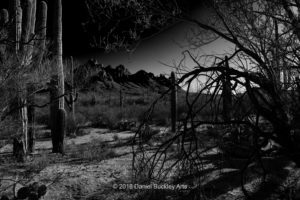 I became more familiar with the endless photographic subjects this area offered, and as I progressed further north, parallel to the west face of Raggedtop I could see its structure revealed as I widened my curved circuit around it. At the same time I was learning more about the kind of gear I needed to bring with me, both to photograph and to get myself out of there if something went wrong. I learned to carry a Leatherman with plyers to yank out the spiny cholla cactus clumps that inevitably attached themselves to my shoes, clothing, bares legs and arms, etc. 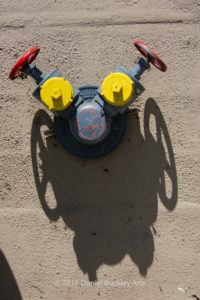 To bring the photographic gear needed to shoot items within that landscape from a slightly higher or lower perspective. I challenged myself to focus on a particular plant or geological features. I used GPS to map my hikes and help me find particular features again. I witnessed a truly remarkable spring bloom that had every desert plant in full display the likes of which I had not seen in my 47 years in Tucson. I figure I have roughly a month before the monsoon rains make travel there less of a good idea. Everything takes time to really see in the desert. And this is a place that will take me some years to truly get to know. It takes a while too to discover the best vantage points to capture even the biggest features. This is accelerating the growth of my photographic artistry and inspiring trademark image treatments.I am finding my more mature voice as a photographer even as I am still discovering the area. And I’ve barely scratched the surface. At the same time I’m also trying to work some time-lapse photography into the mix, and developing the techniques to set such things up and let them go while simultaneously photographing nearby treasure across the road from the area of time-lapses and panoramic treatments. A rotating tripod head is allowing me to shift the point of view and create a moving perspective. This too will take time to learn how to best harness that new vantage point. Loved when you’d go places with wire racks of postcards on the sidewalk. The New York State World’s Fair! The Thing!!! Can your heart stand it! 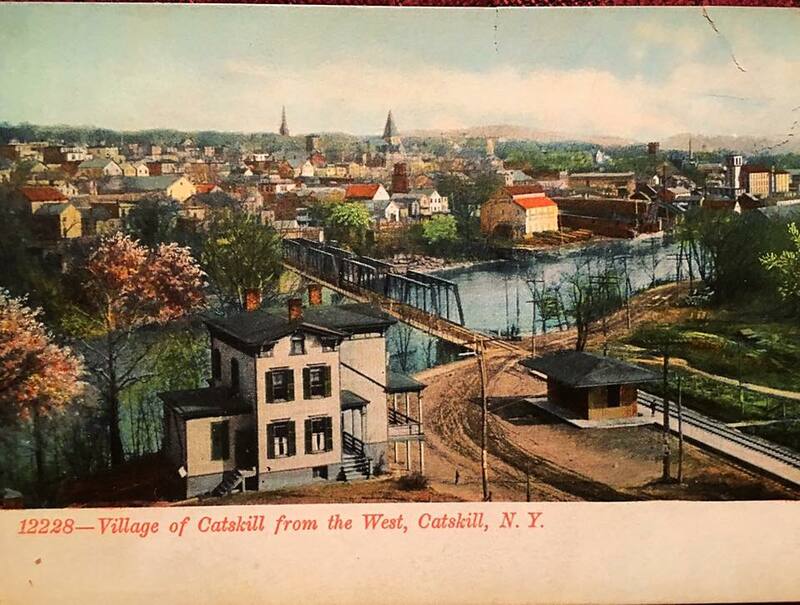 My hometown of Catskill, N.Y., about 100 miles north of the city, had kind of a small town upstate summer destination thing going on. Washington Irving had set his Rip Van Winkle and Legend of Sleepy Hollow stories in the area, so there were postcards of Rip and the Headless Horseman and such. Illustrations and bad photographic recreations. And there were shots from the area at various seasons. And postcards from several decades as well, as somebody would eventually buy those old ones. 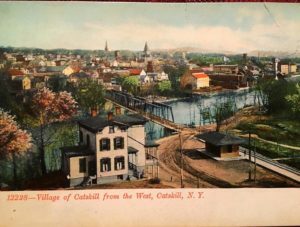 Shots of the town throughout the years, as well as the long-gone Catskill Mountain House. Postcards were my medium of choice. They kept it brief. And you could fit a hell of a lot more than folks would expect. Annoyingly so. And knowing that you’d annoyed someone via mail made it even more enjoyable. I know I hit a postcard rack the day I arrived in Tucson. I’m certain that’s how folks back home got my new address and were met with the sad reality that, while I’d moved away, the postman might bring evidence of my life beyond at any moment. Over the years I started collecting them. Windup toys too, but that’s another story. I have shoe boxes of them. People sent hundreds of postcards to me over the years. I am a man of simple pleasures. I enjoy an escalator ride when I’m in the mall. I eat Campbell’s chicken noodle soup when I feel funky, and not the low sodium kind. I drive an old car with the original dust and enough miles to go to the moon and back. 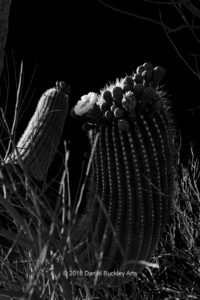 I like to sit out in the middle of nowhere in the desert late on summer nights and watch a storm in the distance or see the moonlight creep around the cactus. I love the size of them. I love what they represent. I love how they were co-opted for flyers to sell just about every damned thing known to man. I love the photography. I love the campiness, their sense of nostalgia, their wistfulness and their ability to tell a story. Even when it wasn’t the story they’d been intended to tell. When I became a performance artist I may have been drinking more than I do now. My stuff was my take on the world. Postcards were a bit part of my early work. I used to find goofy postcards and type stories on the back of what I imagined the photo showed, rather than its intended postcardly purpose. The stories ended when I ran out of room on the card. I’d photograph the image, record the story and write a little piece of soundtrack music to go along with them. With a slide projector, a microphone and a tape deck I’d share surreal stories with my audience, which I suspected may have been in an altered state. Later on, I started reciting the stories live along with the tape, at a slightly different rhythm to make the words bubble and spin. There was nothing particularly high tech about this, but it added another dimension of odd to the pile. Sometimes I’d just send the story postcards to people without them ever having been shared with a solitary person other than the recipient. These were special cards for special folks. No word of how I was or anything new. Just a weird story that cut off mid-sentence, as a way of letting them know that things had not improved with me in their absence. Then at some point I started a bunch of series. Usually I’d grab a fistful of postcards through which I could envision a longer, more cohesive serial story. Some would be five or six long and would arrive anywhere from a few days to a week or more apart. One series went on for quite a ways. It was called “The Amazing Adventures of Harold and Sally,” and it was loosely about a couple whose marriage was breaking up during a cross-country trip together. Every stop along the way sparked a huge argument. It was intended to be five or six cards long but it may have gone beyond 20, and may have lasted for months. It also had its serious moments along the way. The postcard medium proved an unlikely avenue for storytelling of that sort. As a photographer today I find myself going places and thinking about how I might shoot if I were making postcards for the places I travel to. 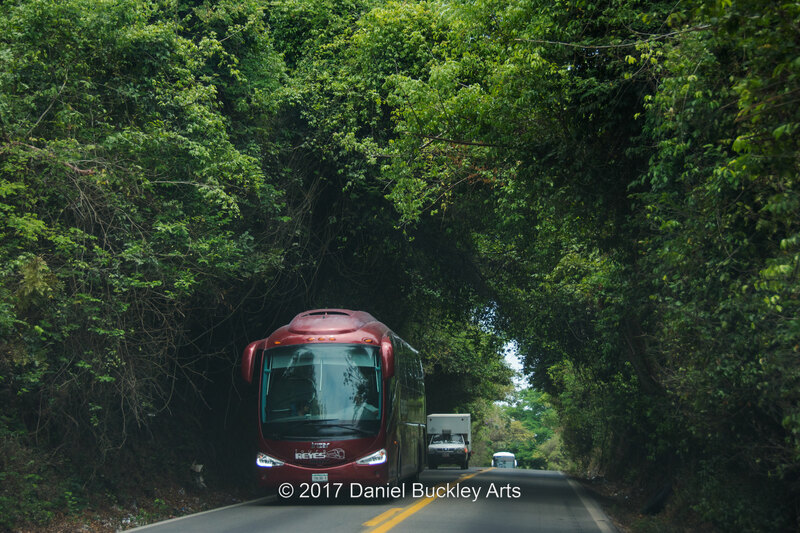 Sometimes I shoot and process the photos in a deliberate way to imitate my memories of those stylized landscapes and landmarks. At some point I want to make postcards in my own image, and possibly write stories to go with them so you can send pre-written postcards to amuse your friends. Maybe even put together a postcard novel or a selection of short stories. It’s strange how a quick series of photos, done with no prior thought or consideration, suddenly changes your perception of a particular moment. 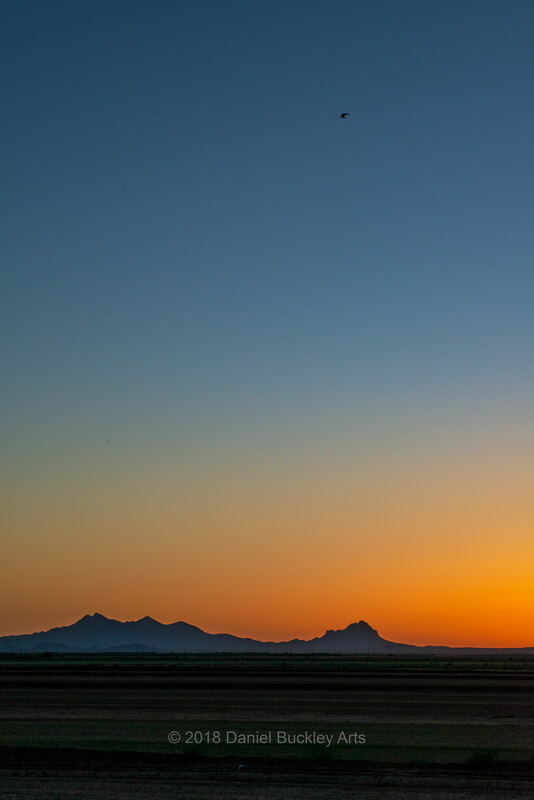 I was out along a main farm road in Marana Friday night shooting the sunset and the twilight glow that followed. My camera faced west. Behind me I could hear the swoosh of passing traffic. Immediately in front of my tripod was a concrete irrigation trough about two feet wide, partially clogged with sticks and small debris. Some scrub brush had taken root along portions of its length parallel to the highway. 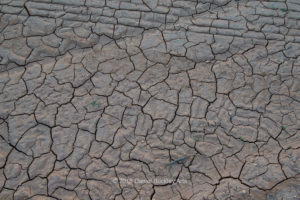 Step over the concrete and there was an expanse of dried, cracked mud from where water had pooled a few days before, then dried. It still bore marks of farming equipment that passed over it was it was still capable of holding form. Beyond it, the fresh sprout of a new crop formed a green carpet like a putting green in bands parallel to the horizon as far as one could see. 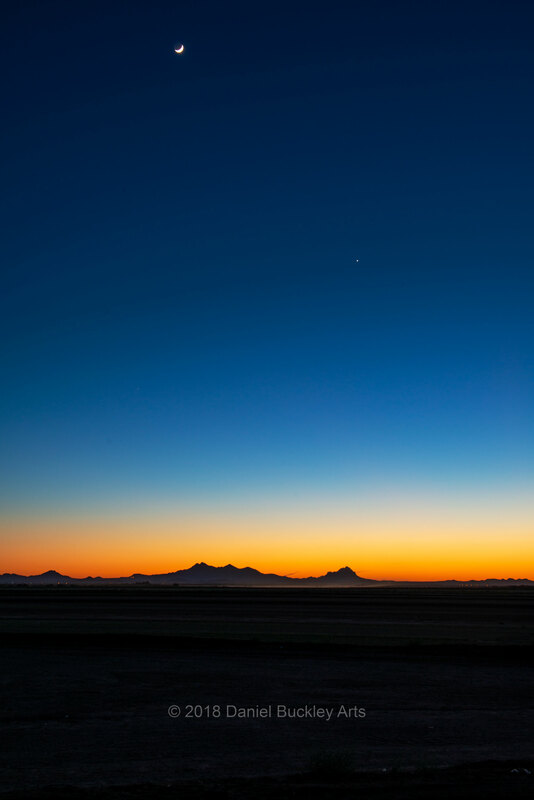 And beyond that, mountains in silhouette made stark by the glowing color gradient sky above. 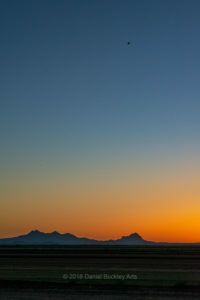 I shot through the sunset and well into the twilight, hoping the moon would drop to the horizon quickly enough to put it in frame with the mountains in a bigger way. Unfortunately, I was a day or two late in the lunar cycle and couldn’t get that sky dance the way I’d hoped. 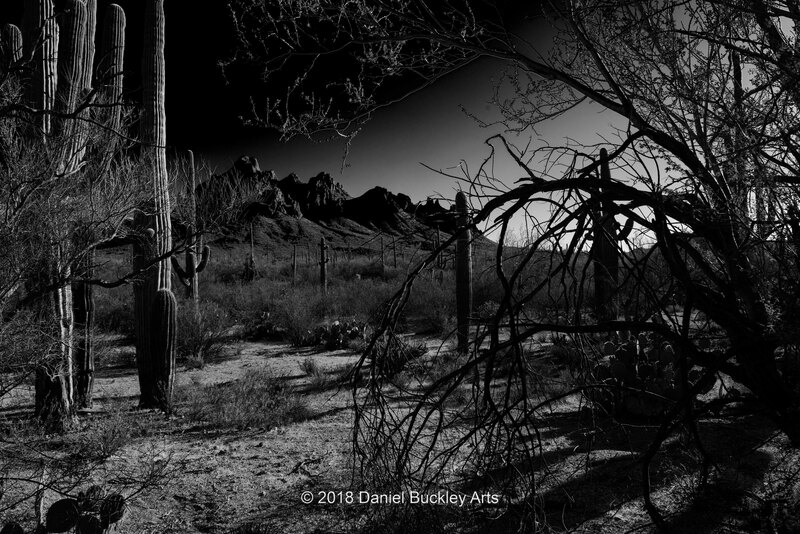 Had I stopped and shot this location when I first saw it, on my way back from shooting a performance by Ballet Folklorico Xochitl at Marana High School earlier in the week, I’d likely have gotten it and more. It was just after sunset then too. The standing water was reflecting the glowing horizon to the west in a curious oblong shape. I slowed slightly and looked at it, taking note of its location and that of the curving section of power lines just to the north of the pooled water. It would guide me back I thought. And it did. But on the night when I first spotted the vantage point I was leading a friend in a separate vehicle back to the highway from the school, and while loaded for bear with cameras, I didn’t want to cause a delay for them. Besides which I had offered to help unload the heavy dresses from the event. And I was anxious to look at the photos I’d taken prior to the dance event in the nearby Ironwood Forest National Monument. 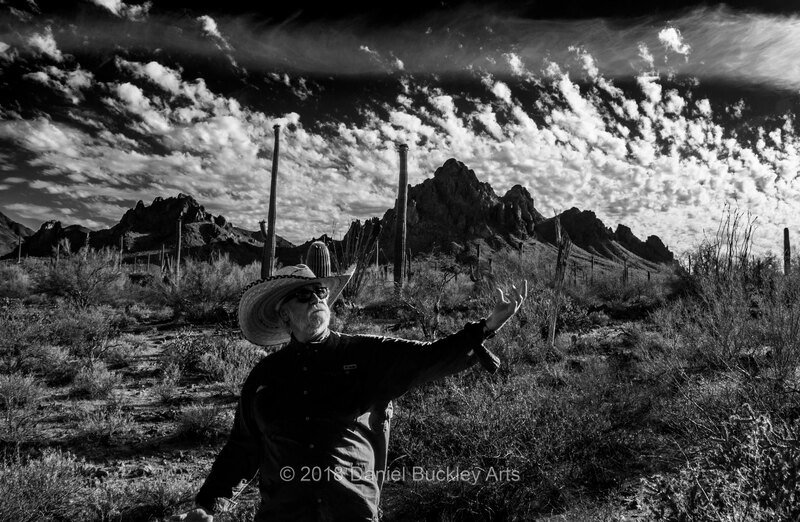 The following night I was shooting another key element for my film, The Mariachi Miracle. Each year the rehearsals for graduation become a welcoming ritual for the new recruits who will join Pueblo High’s acclaimed Mariachi Aztlán. Not one of hazing but one of nurturing where the new recruits are joined by outgoing seniors and other elements of the group to share a bit of technical information, get to know them better as people and generally welcome them into the fold. Then the following week they join the non-graduating members in playing the all-important Pomp and Circumstance and Las Golondrinas, as well as other tunes, at graduation. The mariachi is a strong symbol of pride and culture at the school. It is a beautiful tradition and one that in no way diminishes Pueblo’s other outstanding music programs. 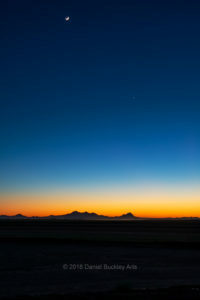 Bathed in another sunset glow, I grabbed my gear in the parking lot on the night of the Aztlán rehearsal and noticed that the fingernail moon that follows the new moon was close to the horizon at this time of day. 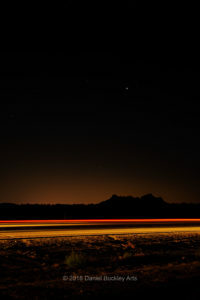 And so I determined that the following night I would return to Marana and shoot. 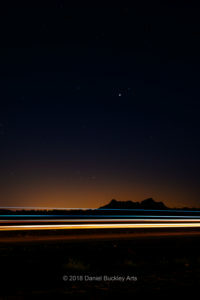 Flash forwarding to the end of my shoot in Marana I was about to pull the camera from the tripod, pack up and head home when I turned around to see that the glow of lights from Tucson had made a faint silhouette of the northern end of the Tucson Mountains. I thought, “I should get a shot of this.” So I boosted the ISO slightly, adjusted the shutter speed to compensate for the darkness and took a shot. The first exposure was a little dark so I set the shutter to stay open for a few seconds longer. And thus began a quick dance of lowering the ISO slightly, extending the time the shutter would stay open and setting the stage for light trails of passing vehicles. I’d somehow forgotten to bring a cable release for the shoot to steady the shot, so I had the camera on its timer which opened the shutter after a ten-second delay from the moment I hit the shutter release. I watch the very sparse traffic approach and estimated roughly how long it might take the vehicle or vehicles to come into frame. Sometimes the shutter was open through the entire pass, sometimes through only part of it. Sometimes several vehicles passed through while the shutter was open. And sometimes they came through the shot from different directions leaving red and white streaks depending on whether it was the headlights or taillights that were captured. And once a truck with a pale blue light on the cab came through and left a different band of light above the red and white glowing streaks. I didn’t take a lot of shots. I spun the camera back around to get final shots of both the western sunset horizon and one more of the southeast view that created traffic streaks over Wasson Peak, then put the lens cap back on, removed the camera from the tripod, and started stowing the gear. 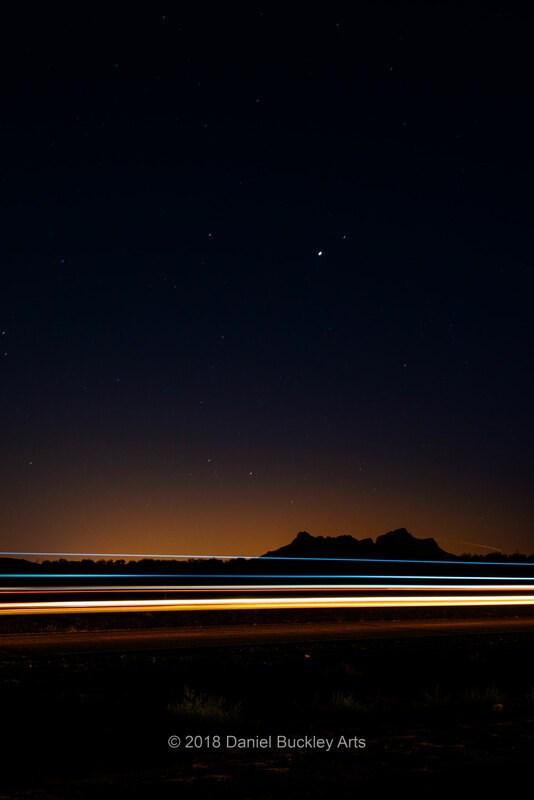 I’d shot time-lapse images of passing cars before, so I knew what this might look like. 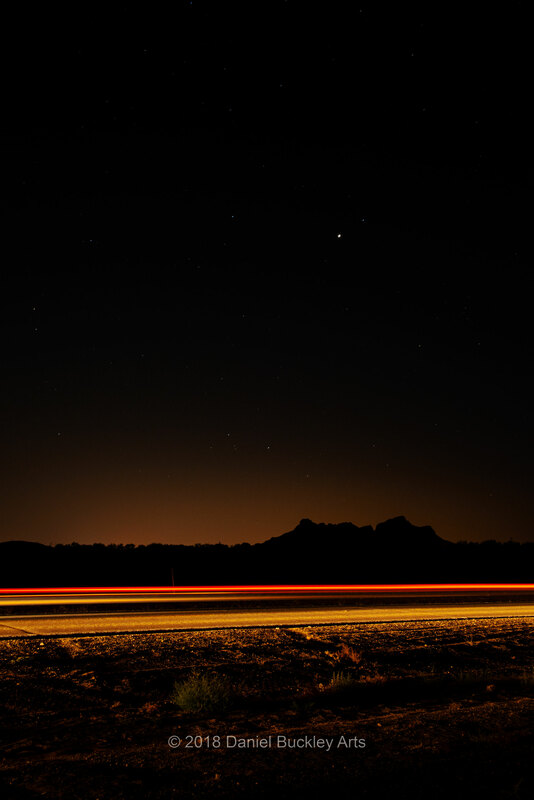 But as I drove that long expanse of dark road that connects Avra Valley with Interstate 10 to head home, I was already thinking of the deeper meaning of that chance capture. 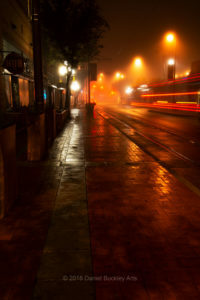 As we pass by in our cars without thought to our surroundings in the dark, perhaps listening to music or talking with friends in the vehicle, we leave behind an aura of our passing – impossibly faint and indistinct – in the warm night air. We leave a trace of our thoughts and intentions. The brightness of our streaks is determined by our haste to get somewhere. Tangled within are our emotions and the jumble of thoughts that cloud our experience of being in the moment. Had I not turned around before taking the camera from its mount I likely would have missed it. I am my own cloud of conditions, memories and perceptions. My mind is generating its own narrative of birds and bats over the fields flying through the twilight sky in front of me, an ultralight that buzzed overhead at sundown, the ground and air traffic in the distance, and the glow growing fainter on the horizon. My shoes sunk into the dirt unpredictably as I descended the slight slope toward my car, the soil in some places turned to a fine powder by local cousins of prairie dogs. My movements were intentional, to keep my balance and to avoid being run down on the dark stretch of highway. But the traffic was pretty sparse, so that worry was a faint one. I turned the key, steered onto the road, and became another streak in the night. Photography makes you see the world in a different way. It changes the narrative. It changes how you look at things, and the details you notice. Color, form, texture, composition, patterns and shapes. The way light and shadow inform our view. How emotion and drama are heightened and created. Most people go through life without seeing the world around them, let alone intimately experiencing it. It has changed my work as a writer, filmmaker, composer and person. It has made me a better, more compelling storyteller. It has connected me with my community, friends and the place where I live. It has connected me with time, seasons and cycles of life. It has deepened my understanding of the world and appreciation of humanity. It has helped me be more honest with myself and others about who I am and the things I care about. It very much appeals to both my scientific and artistic sides, it likewise provides an unexpected vehicle of expression. Unexpected because it’s not something I really saw myself doing. Photography appeals as well to my sense of order and organization on many different levels, from the way I arrange the gear I take with me into the field to the process by which I plan and execute the shoot, and on into the way I input, append metadata, back up and work the photos. When I look at the world now I think about how it will look in black and white, or how I might manipulate one or more elements of the frame. I think too of how what is in front of me might become layered with something shot a while back or to be shot in the future. It has given me a greater appreciation for art and architecture, music and dance, form and rhythm, place and juxtaposition. And it has made me realize that I am part of an artistic current that has been going on and evolving throughout human history. It has been a creative outlet that has spilled out to all of my other creative expressions. The crosstalk between them has strengthened all. Mostly it appeals to my love of exploration – of the world, of my capabilities and of myself. For several years I have experimented with creating black and white images from digital color photos. In particular, I have been interested in creating imaginary desert moonscapes, somewhat akin to the exaggerated illustrations of science fiction artists of the 1950s and early 1960s. 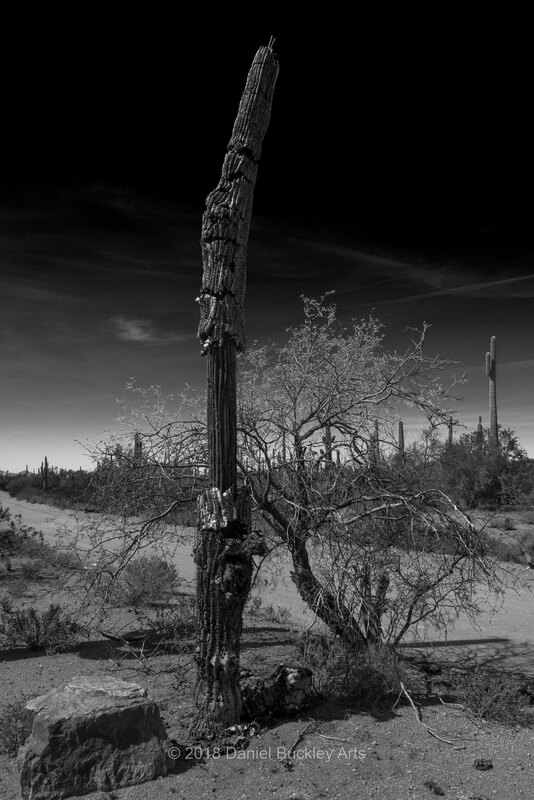 The desert’s plant life looks pretty alien in broad daylight. 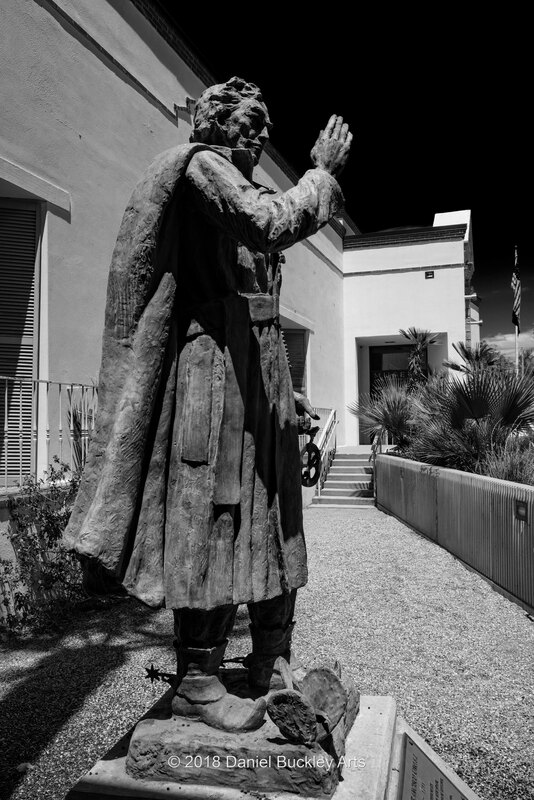 But when the blue in the sky is throttled down in black and white and the mix of the remaining colors is manipulated and altered, broad daylight becomes a moonlit night. The effect works best with wispy cirrus clouds, which amplify the ghostly lighting effects. After several years of experimenting with these false-night black and white images I have started lately to go darker. To add a curves layer and heighten the contrast, giving both a brooding and bright contour to the landscapes. 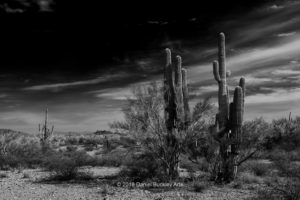 Springtime in the desert brings extra colors to the palette, which can be made to glow or go totally dark in black and white. 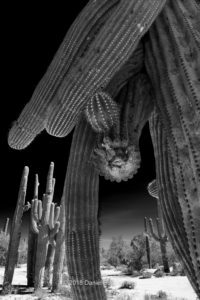 And the myriad forms and points of life and death of the iconic giant saguaro cactus bring unexpected texture and shape to the work. Sometimes haunting, sometimes elevating. Sometimes grand and stoic. 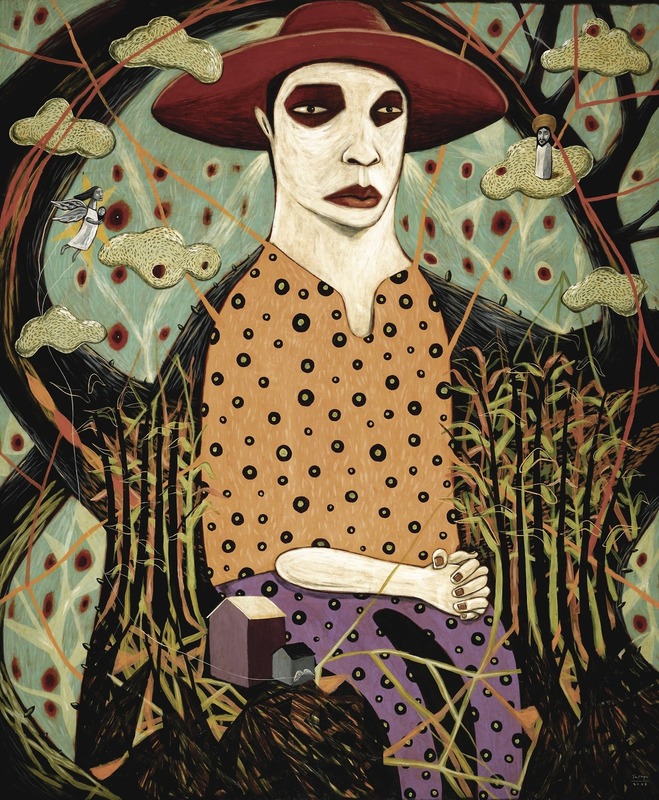 This work wears a psychological cloak very different from the normal experience of desert visitors. 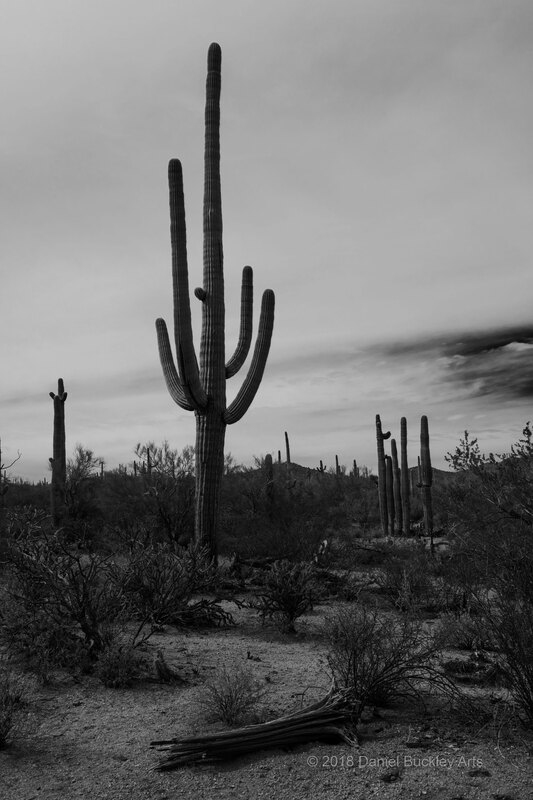 To the Tohono O’odham – the indigenous people of Southern Arizona who were here when the Spanish arrived – saguaros are ancestors. It’s not hard to see their point. 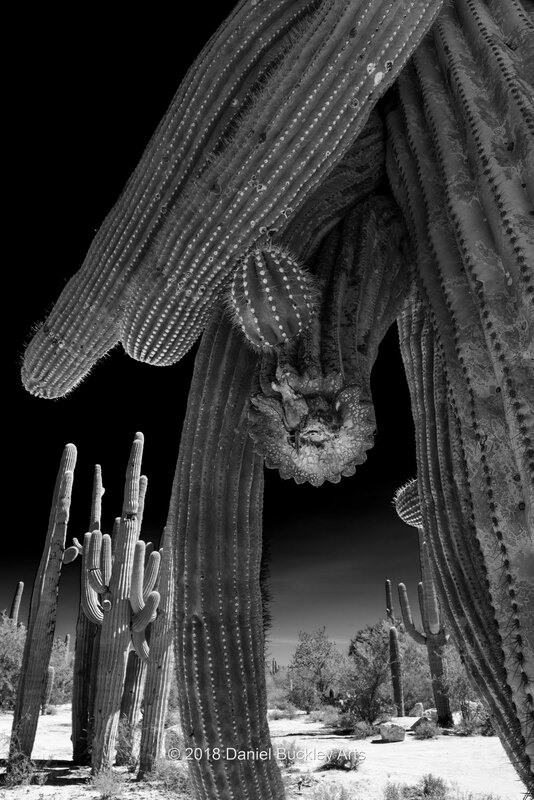 Saguaros take on a quasi-human form, and countless mythical shapes as well. In some ways, these photos play up that human connection. 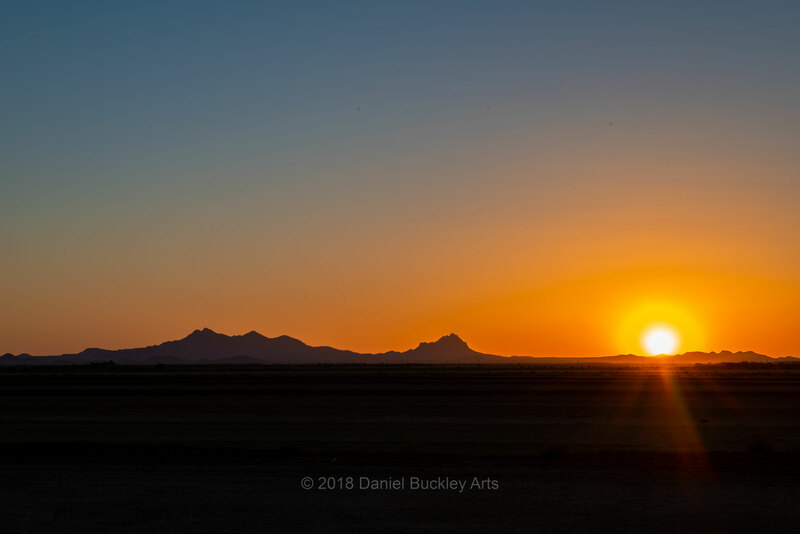 They bring out many personalities as well as individual details of the historic struggles for survival that each desert sentinel has experienced, there surrounded by offspring, extended family, and ancestors, quietly surveying the surrounding land. Creating them has changed how I view the desert. When I look at the sky and earth in the desert now I see what they are and what they will become. 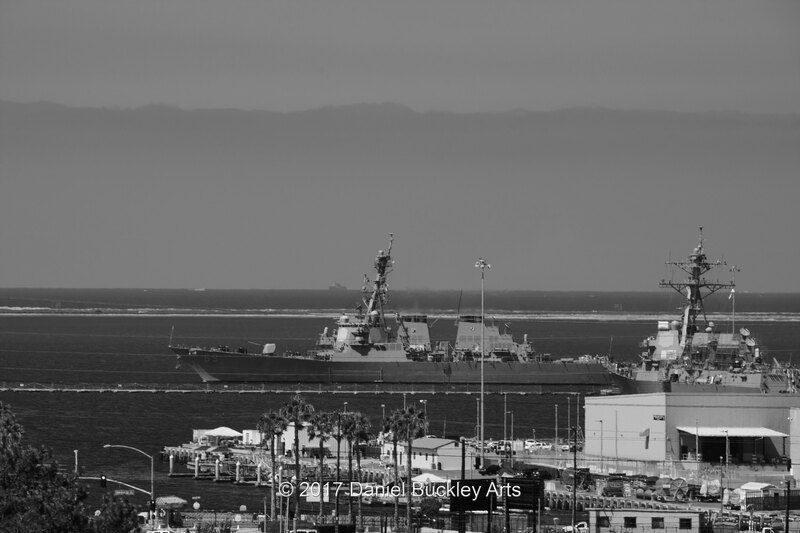 I am starting to see in grayscale, which is a different skill for a photographer. I know instinctively now what will work and what won’t. But there are still enough surprises and twists to keep me on the path. When I step out of my house and see a blue sky with wisps of cirrus clouds, all non-essential appointments are about to get canceled. It’s time to find a new place to shoot. 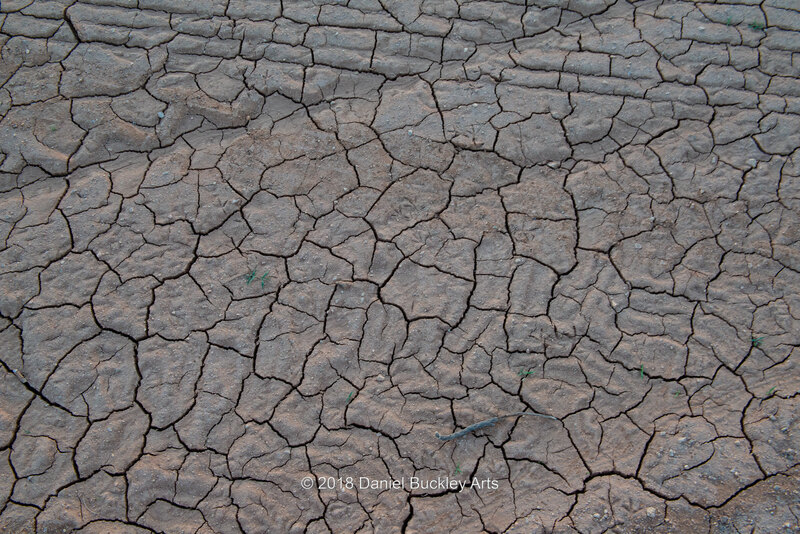 There is still a lot for the landscape artist to discover from without and within. 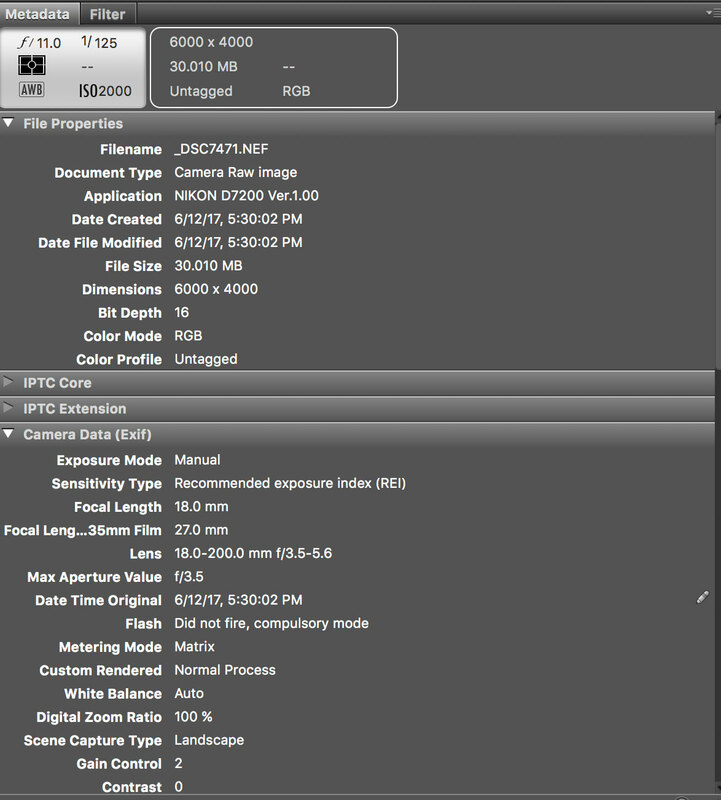 One of the things I do when I come in from shooting photos, just before backing them up, is append the metadata. What is metadata? When most folks see a digital image that’s all they see. But invisibly encoded along with the image is a great deal more information about that photos. 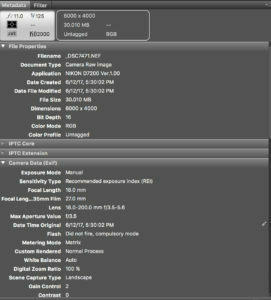 This info includes the camera that shot the photo, what such settings as the ISO, f-stop, shutter speed, etc., were, along with the focal length of the lens used. If you’ve set the date and time on the camera, that information for each shot will also be included.All of this information helps a photographer understand how to improve their mastery of the camera. In addition to the information the camera provides, there are user fields provided to embed who the photographer is, who holds the photo copyright, where the shot was taken, the photographer’s email, phone and website info and much more. Most photographers create templates of various sorts to fill in that information. 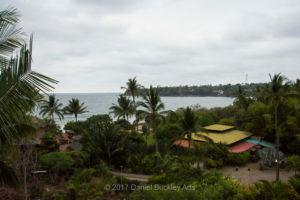 The photo of Mar de Jade in Chacala, Nayarit, Mexico which the metadata above was attached to. And then there are fields specific to the photo, such as title, description and the like. This is where one notes a variety of information, from who is in each photo (if known) to circumstances under which it was shot, keywords, etc. These user fields help one locate shots of a specific person, group or event. So while it is time consuming to enter metadata, it is key to locating your images and video clips on the fly.